The Brooklyn Music School is a community school for the performing arts, founded in 1912 as the Brooklyn Music School Settlement. The Brooklyn Music School views music and performance as the birthright of all people, an essential way that human beings connect with others and explore their creativity. BMS has stayed true to our heritage of building communities through the joy and appreciation of music. Brooklyn Music School was established as an arm of the New York Music School Settlement in 1909 and was granted a separate charter from the State University of New York in 1912. We own and operate a historic four-story building in the Fort Greene neighborhood that contains twenty-four classrooms, three dance studios, and a professional 266-seat Spanish-style theatre. 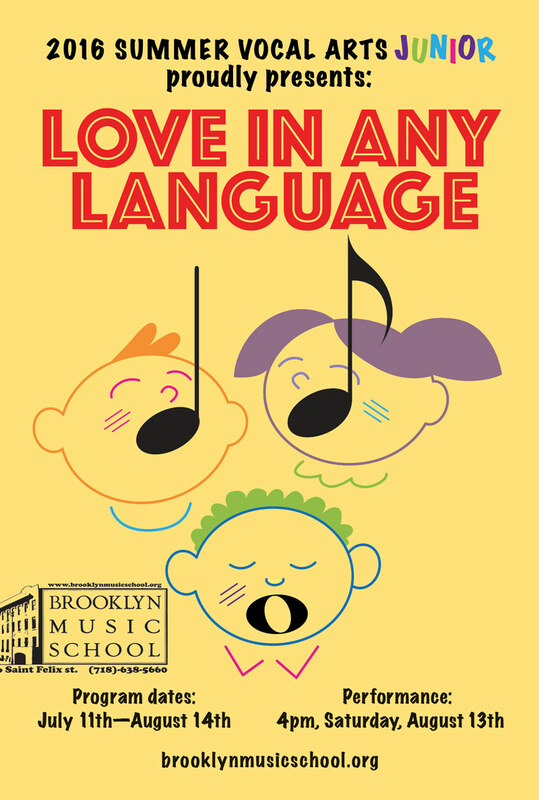 The Brooklyn Music School is a long-standing member of the National Guild of Community Schools of the Arts. BMS has a long history of staged opera: Renowned mezzo soprano Risé Stevens began her career at BMS. Brooklyn Music School Playhouse was also the home of the Little Theatre Opera company in the 1920’s and Alburtt Rhodes’ and Thomas Coote’s Brooklyn Music School Summer Opera Workshop in the 1990’s. BMS is committed to serving the community by providing high quality music and dance instruction without regard to income, age, previous experience or professional aspirations. All students are given a solid foundation and develop discipline, self-confidence, and poise.